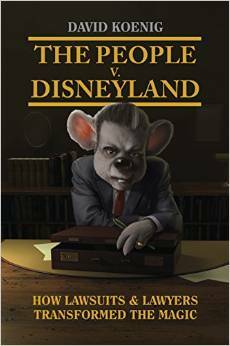 And Walt's People - Volume 3 has just been re-released by Theme Park Press. 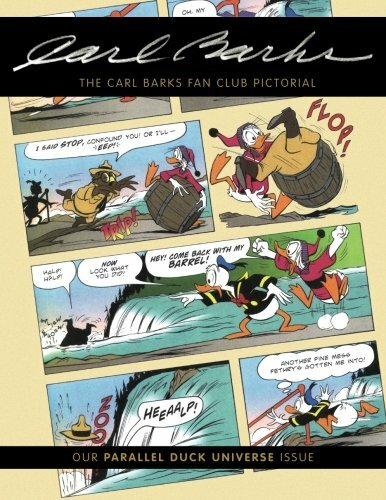 Is any reader of this blog based close to Tampa, Florida and willing to help me with a short Disney history related research project at the University of South Florida? If so, could you email me ASAP at didier.ghez@gmail.com? 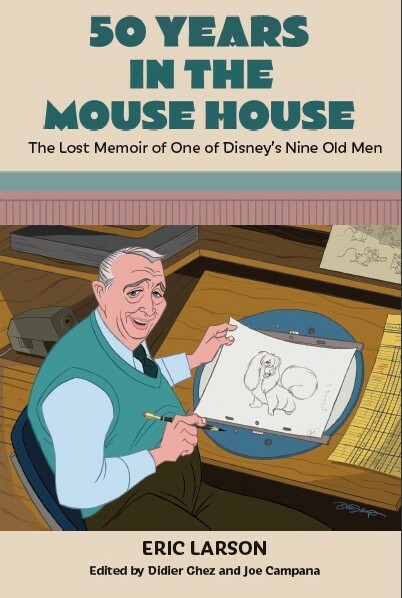 Just released by Theme Park Press. This is a book I have been waiting for for a looooong time. 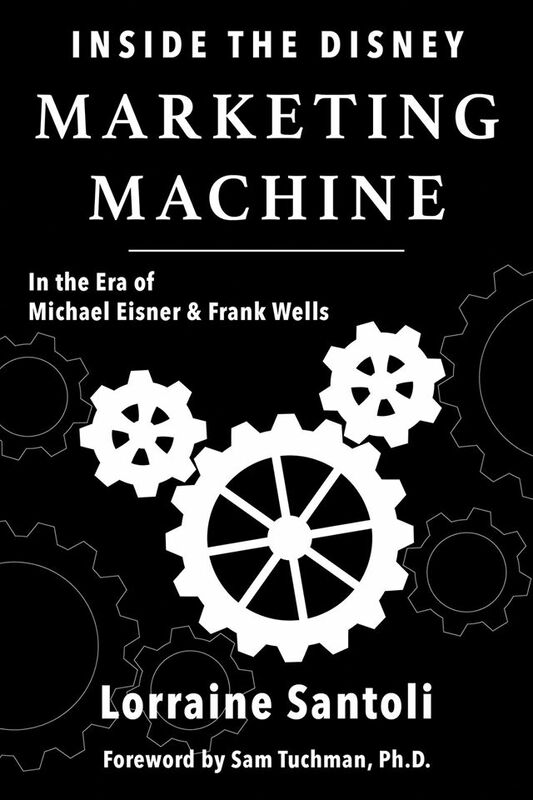 As mentioned a while back, this book is fascinating. 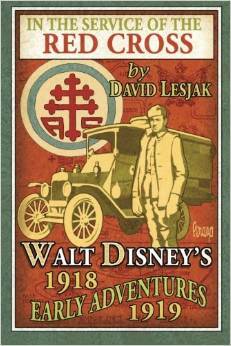 It covers Walt's time as a Red Cross volunteer in the same amount of details as Tim Susanin's book (Walt Before Mickey) had done with Walt's early professional years. For many this is a book that is almost too detailed. 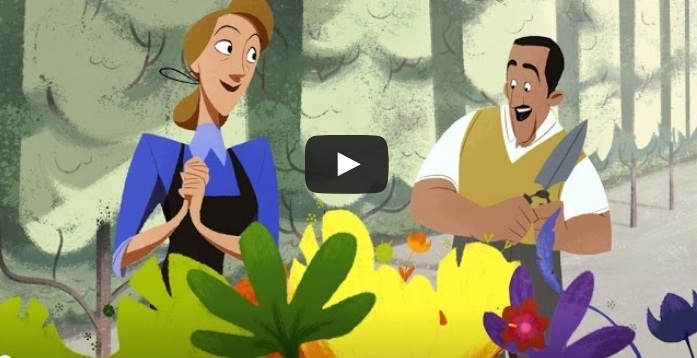 Not for Disney history geeks, of course. A "must have" from my standpoint and the never-seen-before photos it contains are priceless. I am happy to announce that 50 Years in the Mouse House: The Lost Memoir of One of Disney's Nine Old Men is now available on Amazon! 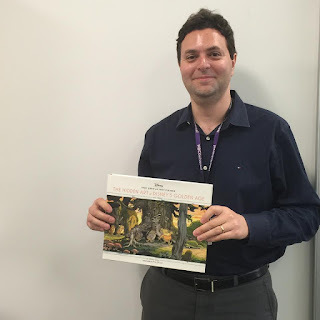 And here is the book cover with a drawing created by Dan Jeup. This came in the mail a few days ago. First physical copy. It looks wonderful. This has been a dream for close to 25 years, so you can imagine my happiness. The release date is still September 8. 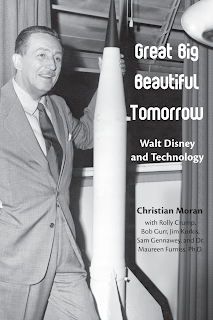 The book can be pre-ordered on Amazon. 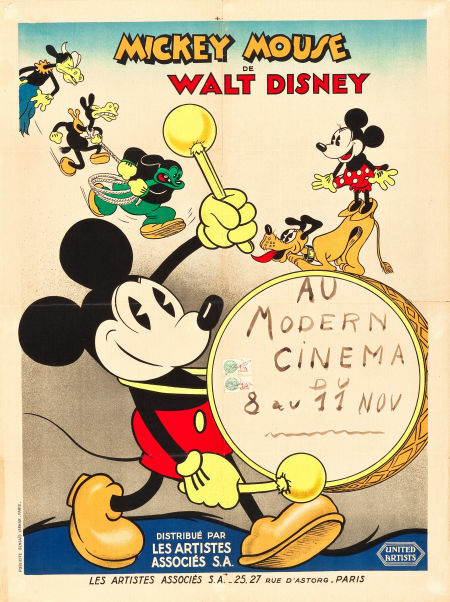 This extremely rare French poster from the 1930s will soon be sold by Heritage Auctions. I have to admit that I love it. 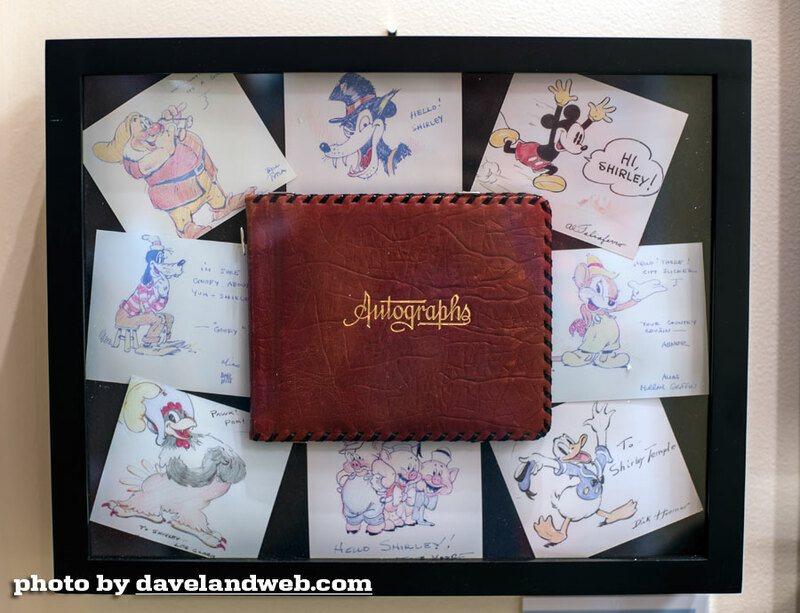 The Shirley Temple auction which will take place on July 14 will include a few Disney items. (Thanks to Daveland..com and to Michael Goldberg for the heads up). This new book which was released a few weeks ago by Theme Park Press is likely to contain some interesting elements. 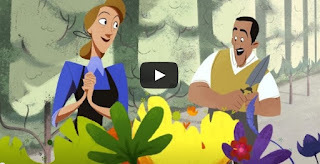 While researching it, the author (Christian Moran, a documentary filmmaker) did new video interviews with Rolly Crump, Bob Gurr, Dr. Maureen Furniss (who teaches animation at CalArts), Jim Korkis, and Sam Gennawey. [Walt Disney is well-known for animation, theme parks, and Mickey Mouse. But his real passion was technology, and how he could use it to shape a better, prosperous, peaceful future for everyone. 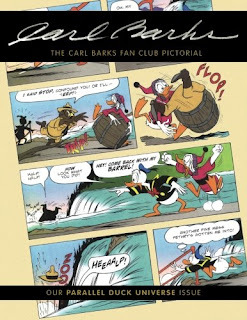 The latest issue of the Carl Barks Fan Club Pictorial has just been released. I will order my copy today. 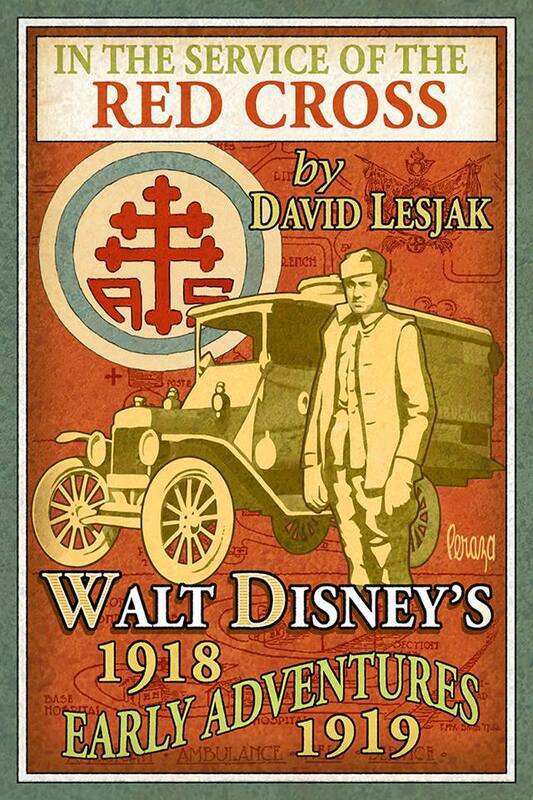 In just a few weeks Theme Park Press will release David Lesjak's new book about Walt's time in the Red Cross. The book, whose beautiful cover was designed by Mike Peraza, is fascinating. 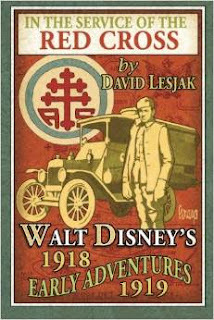 It covers Walt's time as a Red Cross volunteer in the same amount of details as Tim Susanin's book (Walt Before Mickey) had done with Walt's early professional years. For many this is a book that is almost too detailed. 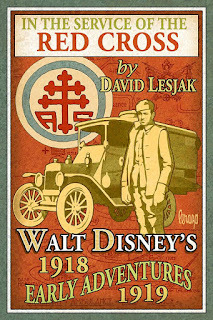 But NOT for Disney history geeks, of course. A "must have" from my standpoint. And the never-seen-before photos it contains are priceless. According to the Disneyana Dispatch newsletter and to Jim Korkis, David Koeing is about to release a new behind-the-scenes book about Disneyland on July 17, 2015. 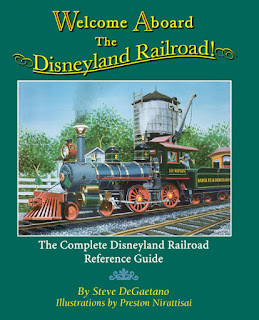 [Steve DeGaetano self-published the now out-of-print WELCOME ABOARD THE DISNEYLAND RAILROAD in 2004. His press run sold out quickly, and used copies on Amazon are selling for hundreds of dollars. 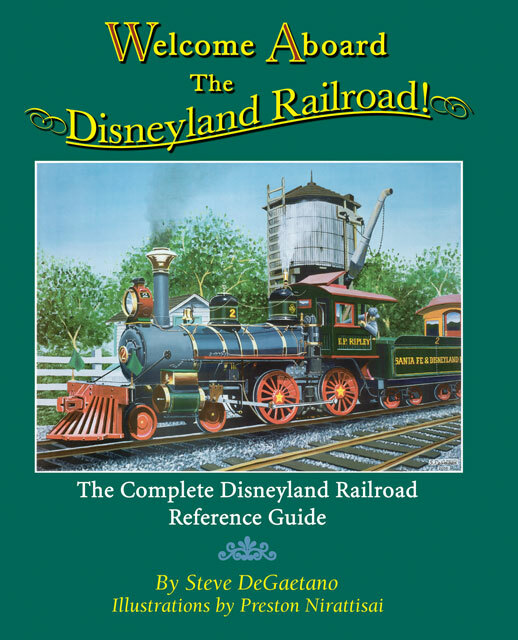 The book was popular among Disney and train enthusiasts - Bob Gurr told Steve that he'd found information in the book that even he didn't know: "Such detail...amazing since I was there and you weren't even born yet." 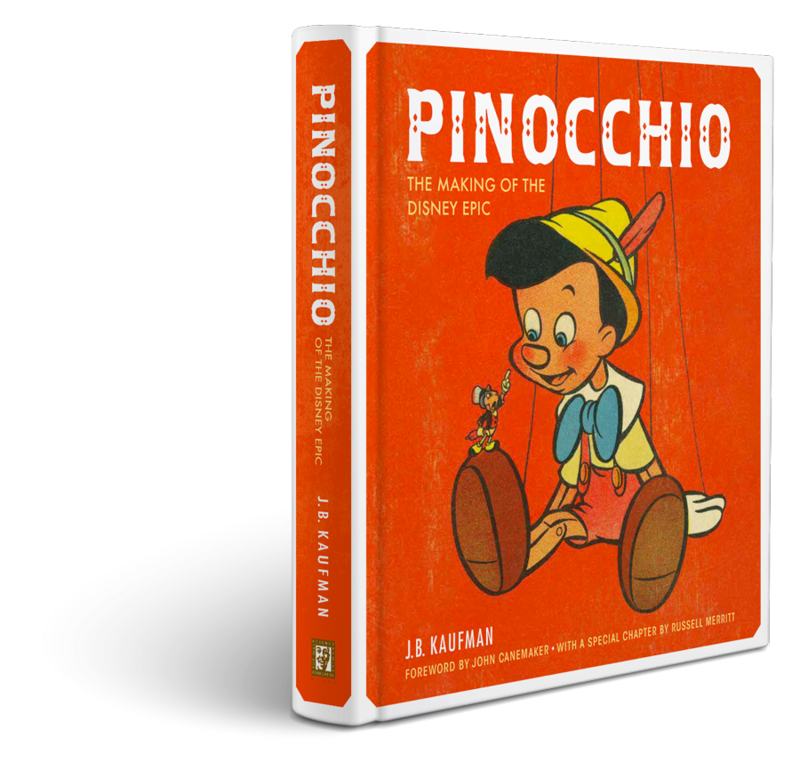 Steve is raising funds to re-release the book (through Theme Park Press) on Kickstarter. The goal is to put out a full-color, hardcover, "coffee-table" edition, with hundreds of photos and an up-to-date revision of the original text. Steve is close to reaching his initial minimum funding goal, but there are lots of upgrades he'd like to make if the goal is exceeded. 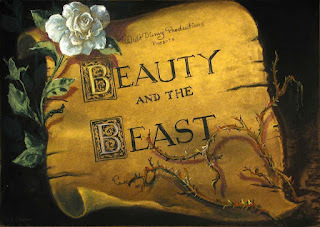 The first one is, who pitched the idea of doing Beauty and the Beast in the late '80s? We know that Ron Clements pitched The Little Mermaid, Howard Ashman pitched Aladdin and Jeffrey Katzenberg pitched his original idea that became The Lion King, but what about Beauty and the Beast? 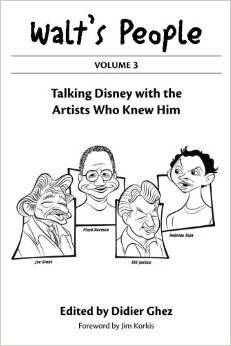 - Walt's People - Volume 16: Cover art by John Musker received. 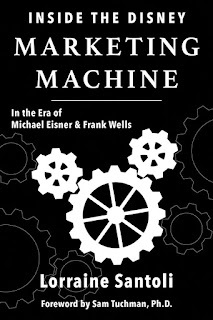 The manuscript will be delivered to Theme Park Press by the end of next week and it should be released early July. 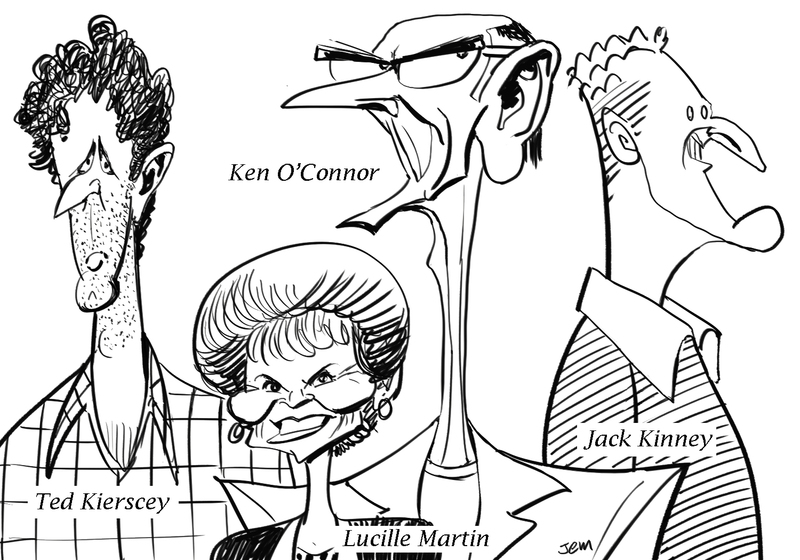 - They Drew As They Pleased - Volume 1: I should see a physical copy of the book by the end of the month. Can't wait. The release date is still September 8 and I am hoping to be in Los Angeles for some autograph sessions in November, around CTN. - Autobiography of Eric Larson: I should have all the elements I need to finish the editing by the end of the month and I am hoping that the book will be released at some point in August. 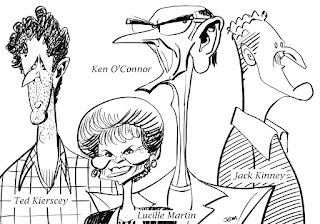 - They Drew As They Pleased - Volume 2: Most of the chapters are now written, save one and I will be working on the initial art selection next weekend. 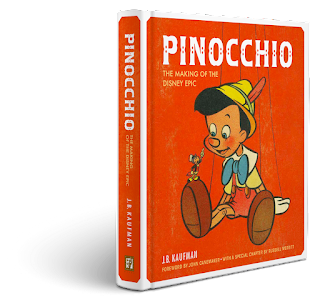 You probably already all know this, but JB Kaufman's new master opus, Pinocchio - The Making of the Disney Epic, has now been released. It is a "must-have", obviously. 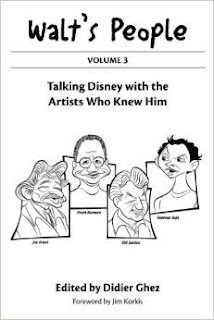 And speaking of my good friend JB, I learned last week that he had started to write a great series of online articles for Jerry Beck's Cartoon Research website. You can read Part 1, Part 2 and Part 3 and probably should do so right away. 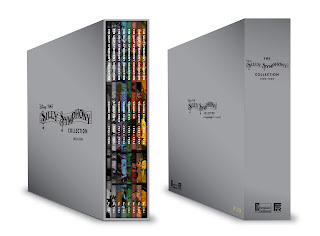 [The Silly Symphony Collection is a first-of-its-kind box set from Walt Disney Records and Fairfax Classics featuring the complete restored soundtracks from all 75 Silly Symphony shorts from 1929-1939, with over 8 hours of music spread over 16 vinyl LPs. 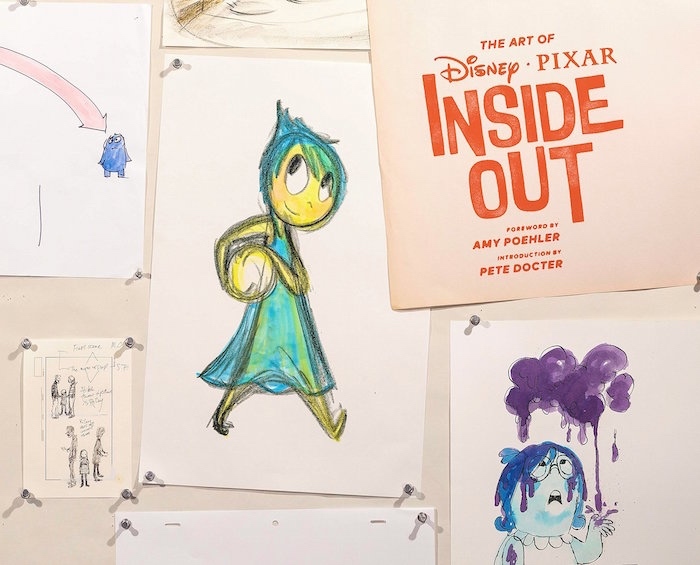 The collection is housed in 8 tip-on gatefold jackets with original animation art in a beautifully constructed foil-stamped and numbered slipcase. 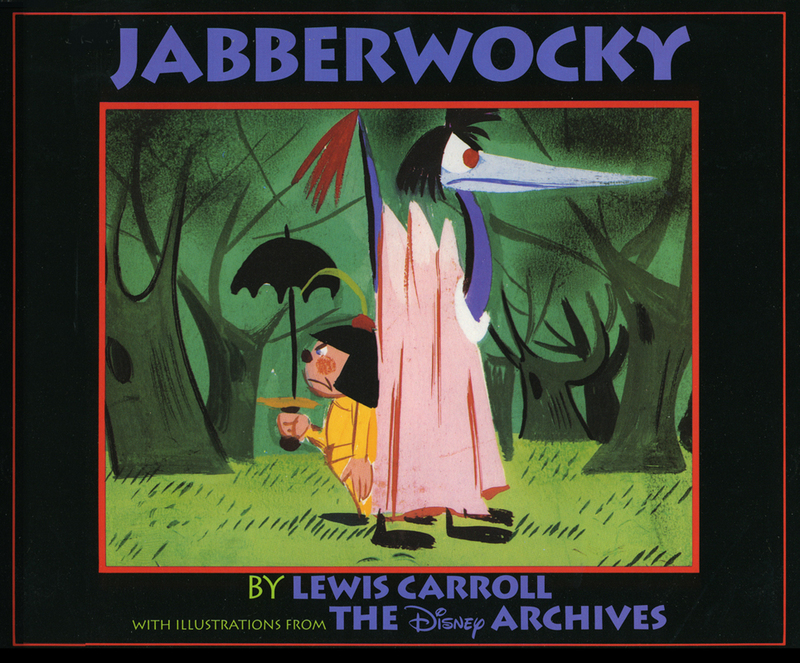 Soundtracks of Disney classics such as “The Skeleton Dance” by Carl Stalling, “Three Little Pigs” by Frank Churchill, and Donald Duck’s debut “The Wise Little Hen” by Leigh Harline will be presented in full for the first time ever on record. 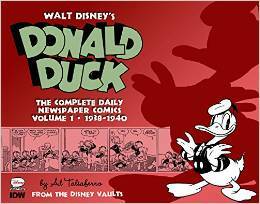 Each gatefold jacket includes detailed liner notes for every short by Disney historians J.B. Kaufman and Russell Merritt, authors of the definitive book on the Silly Symphonies. I love the books released by Chronicle Books (then again I might be a little bit biased, of course) and I adore Pete Docter, so no wonder I enjoyed The Art of Inside Out so much. Now I simply can't wait to see the movie, which will soon be opening to great reviews if those I read last week are any indication. Lots of books to cover this week as I catch up after three weeks in LA. More soon. 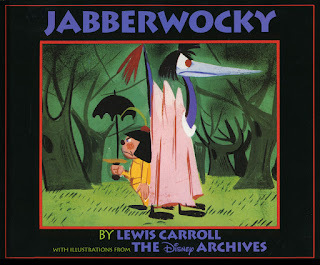 I just found the clear confirmation that Tom Oreb is the author of the drawings included in the book Jabberwocky released by Disney Press in 1992.